The Celtics are getting some serious video game love from the folks at 2K Sports as it was recently announced that the 2008 squad will be featured in NBA 2K16’s “classic” franchise mode. 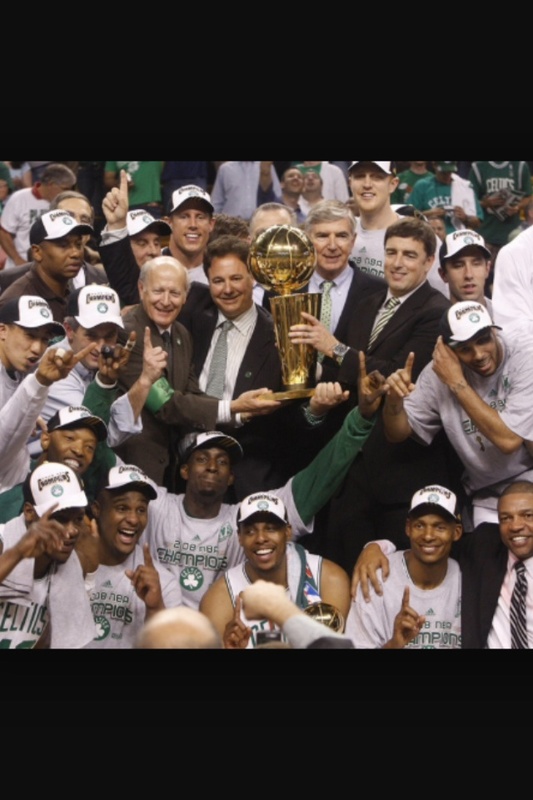 “After two consecutive seasons in which the Boston Celtics finished below .500, fans would be excused for the missing the 2007-08 squad that rolled through the Los Angeles Lakers to the 2008 NBA championship. Fortunately, thanks to NBA 2K16, Celtics gamers will be able to take the floor with Kevin Garnett, Paul Pierce, Ray Allen and a young Rajon Rondo once again. In its weekly YouTube TV show (roughly the three-minute mark), EA Sports and the 2K franchise revealed three teams that will be included in NBA 2K16’s “Classic” franchise mode — the 1999-00 Toronto Raptors (led by prime Vince Carter, who will be entirely too much fun as a video-game character), the 2000-01 Los Angeles Lakers and the 2008 Celtics. As a habitual 2K player, I’ve been waiting for the ’08 C’s to be included in the series and it looks like my wish will finally be granted. After 2K8 I didn’t buy the game again until 2K14 because I had way too much fun playing as the Celtics’ championship team with the Big Three still in their prime and guys like Eddie House and James Posey dropping buckets off the bench. What I’m most excited about is the opportunity to put in Brian Scalabrine during garbage time just like the good old days. I’m curious to see what their rankings will look like and I’m hoping they get the respect they deserve. One thing people should keep in mind is that Rajon Rondo was not an All-Star yet in 2008, so if you’re looking to play as Rondo in his prime then you’re out of luck. He was in his second season and still had countless holes in his game. In fact, the big question mark for the C’s that year was whether or not they could win a championship with a young, inexperienced point guard who lacked confidence. Of course they were still able to win it all, but Rondo didn’t really come into his own until 2010. Regardless, I wasn’t originally planning on buying 2K16 when it comes out but this announcement has definitely changed my mind. I’m with you! This game will be amazing. We’ll get a KG pre injury so he should be rated in the 90s (should’ve won MVP), very high 80s or possibly just crack 90 PP, Ray. Love it! I want to start an association with this team again and keep Posey around. Loved having him and Jouse off the bench. I used to be able to get Eddie to average 15-20 off the bench and win 6 man of the year award just jacking threes and toss in 5-6 assists playing backup time. Rondo will be fun to develop along with Powe, Perkins, and T. Allen! Ohhhh I can’t wait. Kinda hope they have the 2010 finals team too.